In the many visits we’ve made to Disney World over the years, only one other time have we flown to Orlando as it’s never made sense to fly. This trip it did, though, with only Mom coming instead of Dad and finding a good deal on flights (and other family driving so we still had access to a car during trip). I was a little wary if it was going to be an easy process because I submitted the online form, but never got any confirmation or luggage tags. However, with MagicBands it was very easy to just tap and have our resort reservation pull up and be checked in for transportation. Since we didn’t check bags anyways, it really didn’t end up making a difference that the online form ended up not working. Once checked in we were directed to the wheelchair line to wait for a bus. The wait for a bus seemed long (30 to 45 minutes), but all buses appear to have a lift so it was just the normal wait for the next bus going to our resort (Animal Kingdom Lodge). Mik actually likes the buses from the airport to resort as they are the nice motor coaches and they play an entertaining information video and cartoons. 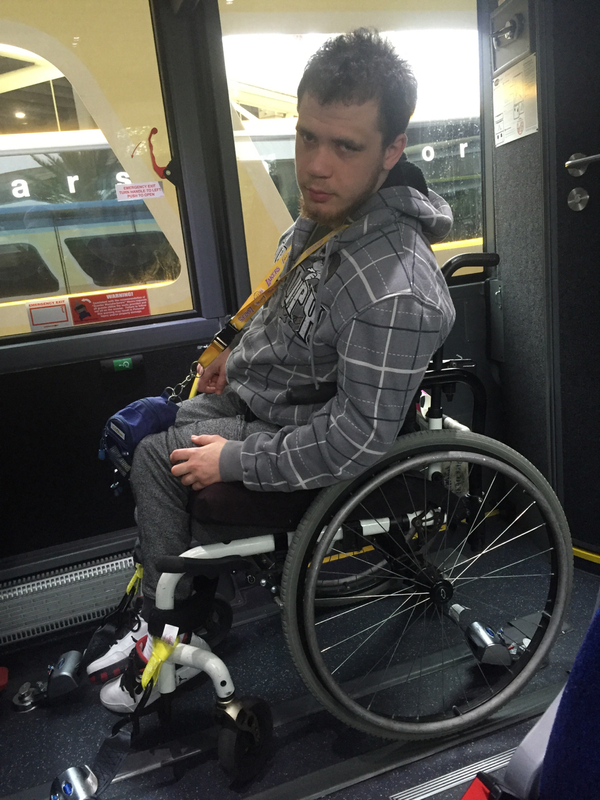 Also, every since I got the yellow tie down straps he’s been more comfortable on all shuttles and buses, although the buses between the parks he still doesn’t really like because they only do a hook on one side in the front. 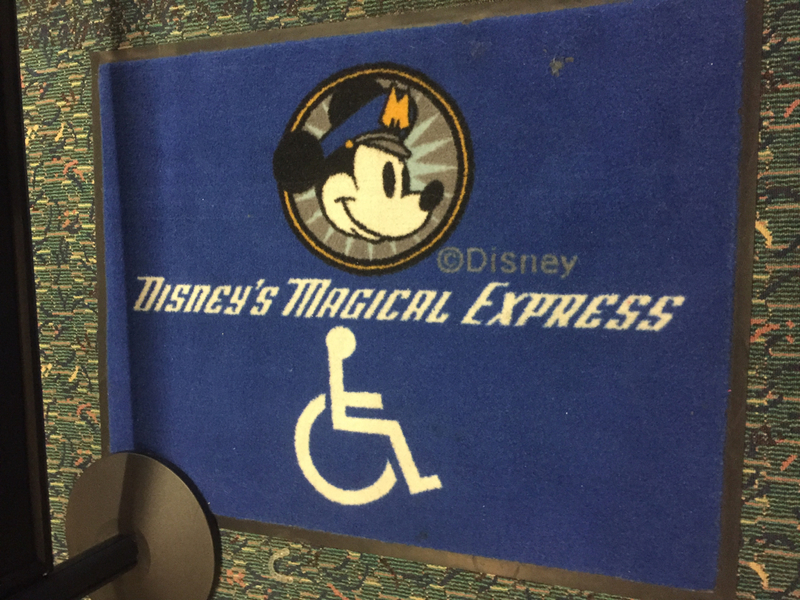 Overall Disney’s Magical Express almost makes flying to visit Disney World not too bad an option. However, between having to get to the airport two hours before a flight to give enough time for security, the flight time, waiting so long for bus, and then another 45 minutes to get to resort once on the bus, it doesn’t really save time over driving along with it very rarely being cheaper to fly. Definitely good if it’s just Mik and I, but anymore than that it just makes more sense to drive.